Your instructor may include a rubric as part of a graded discussion. The rubric is a set of criteria that your instructor will use to grade your discussion. 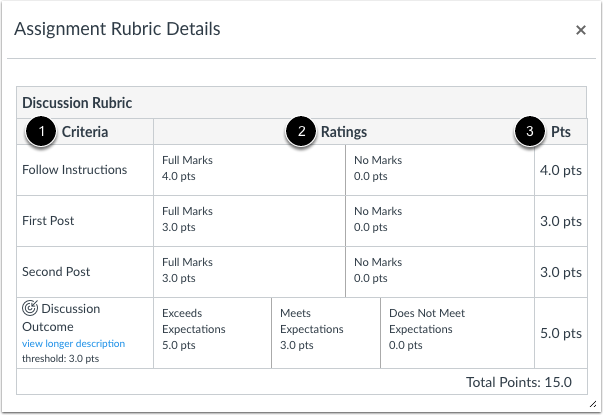 Before submitting your discussion, you can use the rubric to evaluate your own work and make sure your discussion fulfills your instructor's requirements. Note: Not all graded discussions may include a rubric. 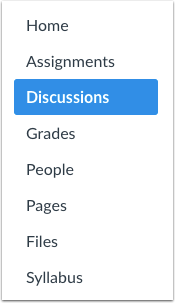 Click the name of a graded discussion. Click the Options icon  and select the Show Rubric button . Note: If the Show Rubric button does not display, there is no rubric for your discussion. View the graded discussion rubric. 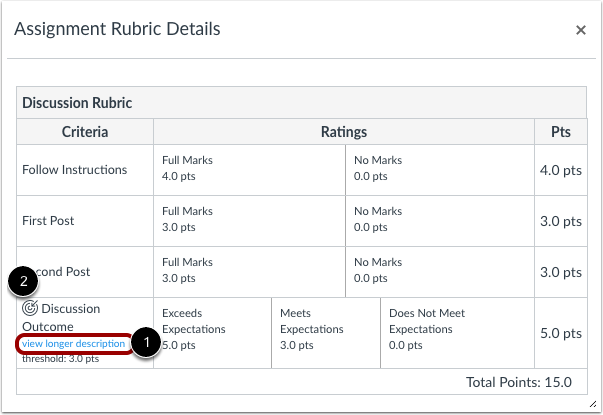 The rubric includes criteria , ratings , and full point values . A rubric criterion may include up to five different ratings and individual point values. If a criterion includes a longer description with more details, click the view longer description link . The rubric may also include an outcome associated with the course . Outcomes are identified by a small flag and are used to assess learning mastery in a course. The outcome also shows the threshold for the outcome, or the number of points you must achieve to meet expectations. Your instructor may allow you to view outcomes results in your course grades. Previous Topic:How do I view Discussions as a student? Next Topic:How do I subscribe to a discussion podcast as a student? Table of Contents > Discussions > How do I view the rubric for my graded discussion? Be sure to check out the rest of the Canvas Student Guides here: Canvas Student Guide - Table of Contents. I this a great refresher I have not completed discussion threads in several years. We're glad to hear that this was a helpful resource. 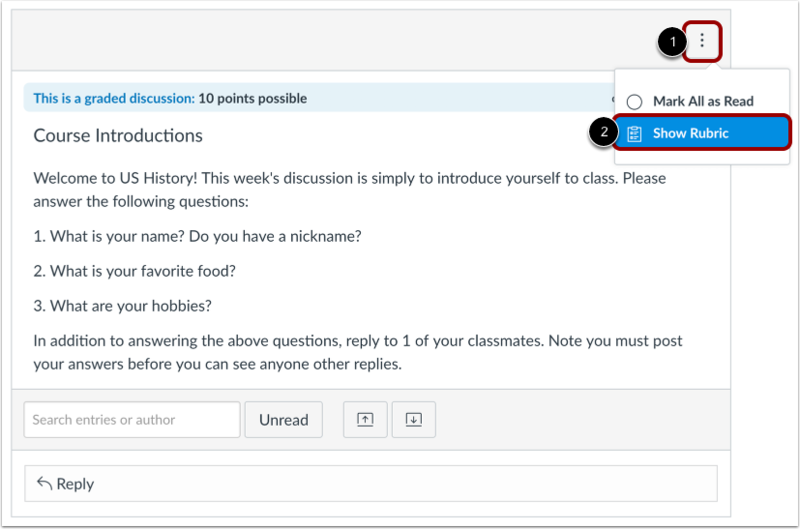 If you haven't already, check out the other Canvas guides for students: Canvas Student Guide.